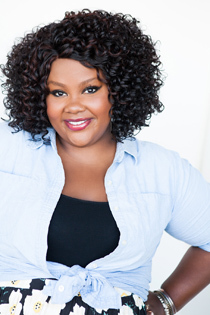 Actress, comedian and writer Nicole Byer will perform at William & Mary Feb. 8 as part of the university’s Charter Day weekend festivities. Comedian and writer Sonia Denis will open the comedy show, which starts at 9 p.m. in the Sadler Center’s Chesapeake Room. Doors for the show open at 8 p.m., and tickets will be sold for $3 for students with ID, $6 for faculty and staff with ID and $10 for the general public. The event is brought to W&M by Alma Mater Productions, the university’s student programming board, and sponsored by the W&M Student Assembly. Byer hosts the Netflix baking show “Nailed It” and stars in a sitcom based on her life, “Loosely Exactly Nicole,” which streams on Facebook Watch. She is also the host of the podcast “Why Don’t You Date Me.” Throughout her career, she has appeared on MTV’s “Girl Code,” “Late Night with Jimmy Fallon,” the movie “Mike and Dave Need Wedding Dates,” “@Midnight,” “Adult Swim,” “Chelsea Lately,” “Transparent” and “Lady Dynamite.” She co-wrote and starred in the web series “The Pursuit of Sexiness,” and Time Out LA and Refinery 29 have named her a comic to watch. Denis was also named as a comic to watch at the New York Comedy Festival. 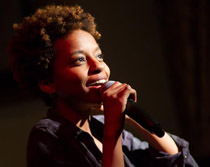 She has performed her live show “Black Side of the Moon” in Washington, D.C., and Chicago with the Second City Touring Company and appeared in the web series “Brown Girls” and on HBO’s “High Maintenance.” She is also in the Netflix feature “Set It Up.” Denis will serve as the host and executive producer of the upcoming Facebook Watch series “After After Party,” which premieres in July. W&M’s Charter Day ceremony marks the day on which the university received its royal charter in 1693. During this year’s Charter Day ceremony, scheduled for Feb. 8 at 3:30 p.m. in Kaplan Arena, Katherine A. Rowe will be inaugurated as the university’s 28th president and Robert M. Gates ’65, L.H.D. ’98 will be re-invested at W&M’s chancellor. A comedy show has been among the Charter Day weekend activities for several years now, with Roy Wood Jr. headlining the event in 2017.